(NAPS)—The humble cauliflower, often served swimming in cheese sauce, has been elevated to the super vegetable in restaurants and homes across the country. There are many reasons it deserves a regular rotation in your diet. For one, it’s packed with vitamin C, a powerful antioxidant that helps your body’s defenses. Also, it contains an impressive array of other nutrients including folate, potassium, iron and dietary fiber, making it a nutritional powerhouse. Secondly, just one cup of cauliflower contains only 29 calories with little fat and carbohydrates. It has become a “go-to,” gluten-free substitute for mashed potatoes and even pizza crust. Adding to cauliflower’s appeal is its extreme versatility. It’s equally delicious raw with dips and in salads; added to stews and soups; or mashed, stir-fried, grilled or roasted. 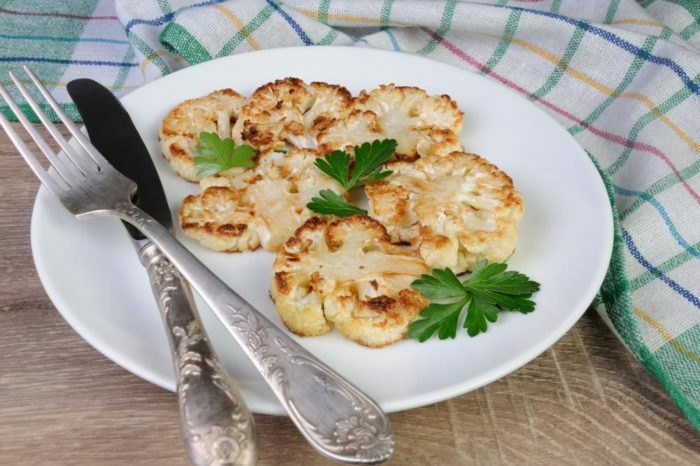 Roasting cauliflower and other vegetables create a sweet, caramelized flavor. Use canola oil when roasting because it can withstand the intense heat of the oven or grill with its high smoke point. Canola oil is low in saturated fat, high in omega-3 fats and has no trans fats, making it an excellent partner for all kinds of cooking and baking. Preheat oven to 425° F. Oil a 9”x13” baking dish with 2 tsp canola oil; set aside. Finely grind cardamom, chilies, coriander, cumin, and peppercorns in a coffee grinder or small food processor. In a large bowl, mix the spices with ¹⁄3 cup canola oil. Add the cauliflower and onion; toss until thoroughly coated with the spice-oil mixture. Transfer to the oiled dish and roast until tender, about 1 hour, stirring every 20 minutes. To serve, sprinkle with salt and a squeeze of lemon. For more facts and tasty recipes from the Northern Canola Growers Association, visit www.northerncanola.com. 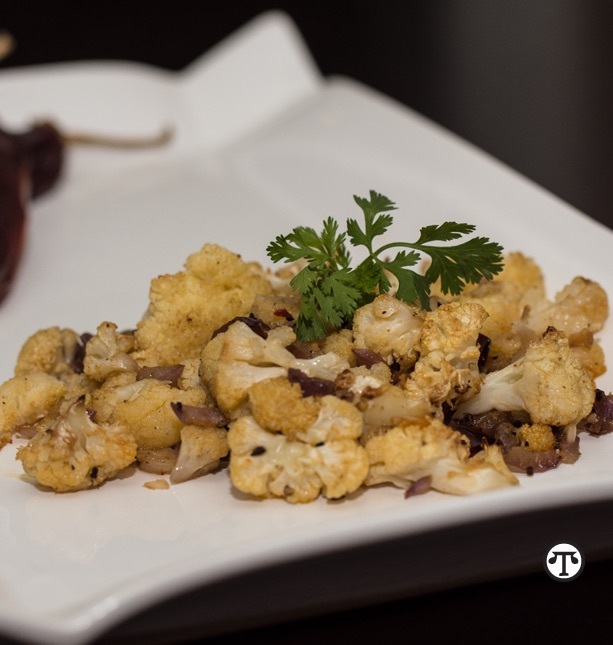 Answering the call for nutritious, delicious vegetable dishes is cauliflower roasted with cardamom and canola oil.